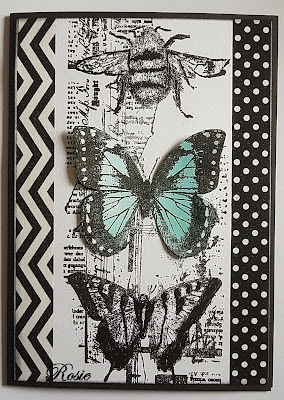 Thank you very much to the DT team of Try it on Tuesday for inviting me, I ´m so honoured, and also for your so gorgeous inspirations and great art, I love them! Congratulations! Wonderful card Christine !! Absolutely gorgeous. I have leaved a comment in your blog, I hope you could read it. Thank you very much for joining us. So lovely card Suzette !! love this Bootiful and happy ghost with its flowers. Thank you very much for joining us. So gorgeous card Karen !! Love the lovely background, very masculine. Thank you very much for joining us. Your card is really wonderful Sarah !! lovely pink flamingo, flowers and background. Thank you very much for joining us. When I visit your blogs, I try always to leave a comment (sometimes I can´t) and be one more of your followers. Thanks. This card is absolutely gorgeous Steffi !! Love this so sweety and shinning bambi! Thank you very much for joining us. Your box is just amazing Giulia !! Love the so beautiful laces and papers, and the unique Lady bug ! Your card is gorgeous too. Thank you very much for joining us. What a lovely Halloween card Katy !! Absolutely gorgeous, love the so funny animals and the fantastiques pumpkins! Thank you very much for joining us. So amazing birthday card Chrissie !! I really love the beautiful image over the white drops. Thank you very much for joining us. Your card is wonderful Kylie !! I love the so gorgeous blue heart with these lovely letters. Just amazing. that ´s a so gorgeous card Drea !! So special and unique, love the beautiful background and sentiment. Thank you very much for joining us. So wonderful both cards Rijacki !! Love them, the beautiful design, and these great pianos!! Thank you very much for joining us. These are so lovely coasters Mel !! Just gorgeous, that a great idea, and very funny. What a so gorgeous Art page Erika !! It ´s lovely, the flowers are really amazing and unique! Gorgeous your card Fiona !! It ´s wonderful with the so lovely dandelion over the heart, fantastique art ! So wonderful little Halloween souvenir boxes Mel !! I love the so beautiful and funny faces, you´re right, they are very easy to make. Love the words too. What a so gorgeous layout Shylaa !! It ´really magnifique and so sweet. 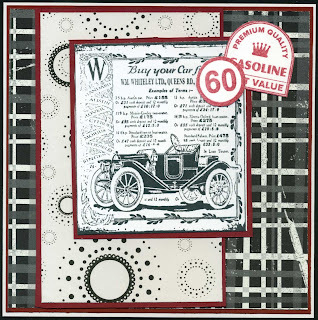 I love the beautiful background and the fabulous embellishments. This card is so wonderful Gerrina !! I like very much the roses´stencil you have used, the read rose is really gorgeous !! Good quote. Your card is wonderful Susuk !! Love this violet colour just behind the cap and embellishements, Gorgeous ! Love the other two cards too. 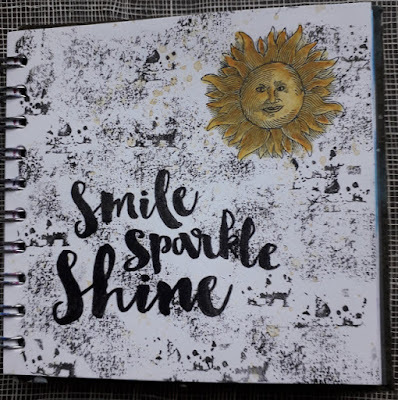 This is a so gorgeous Art journal page Linda !! 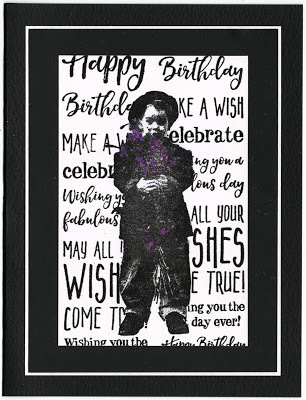 Really love the wonderful stenciled background, and the girl stamp. This is a so wonderful card Christine !! 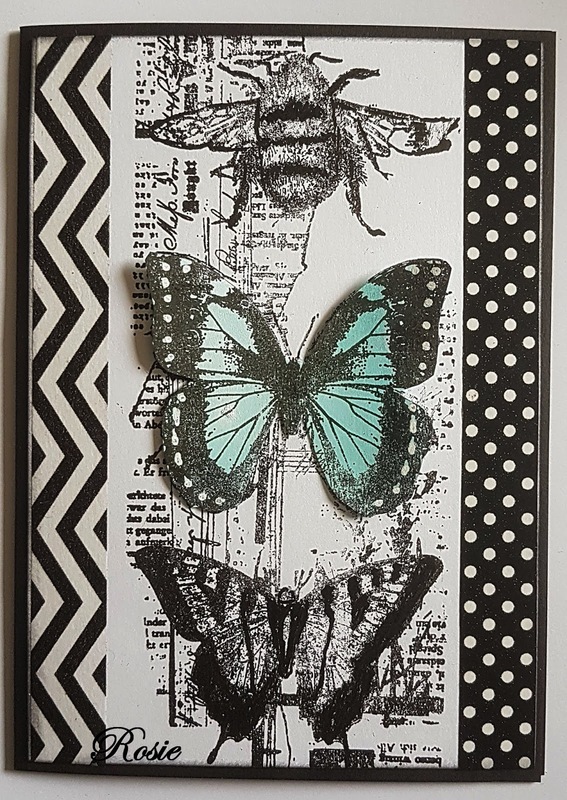 Love the blue background and the lovely embellishements you have used. 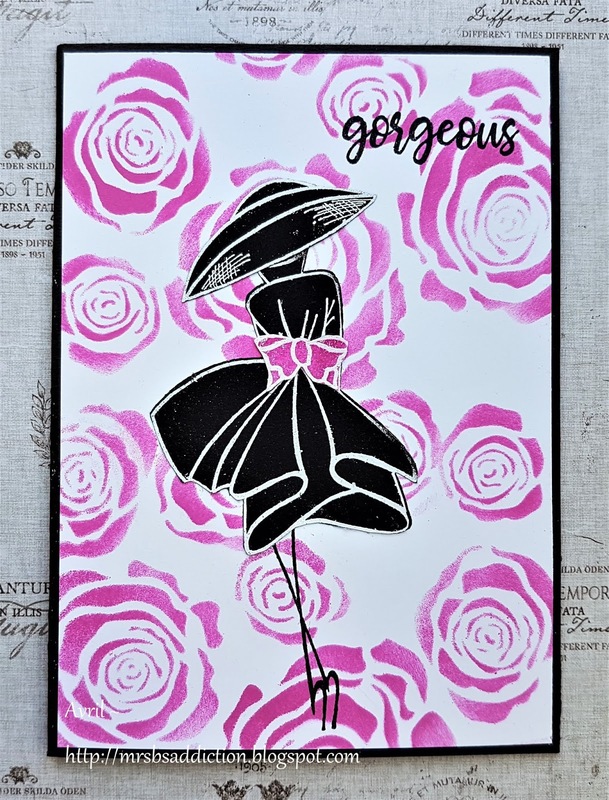 What a so gorgeous card Deanne !! Absolutely lovely and tender polar bears, love the snowflakes with the buttons. Wonderful card Sheila !! 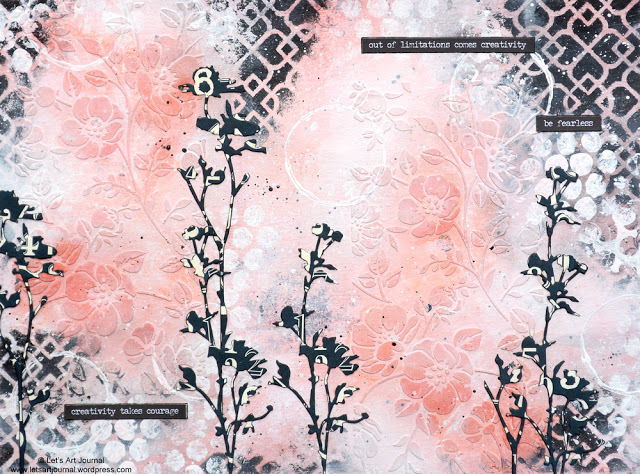 I love those pinks coming to Greytown, lovely colours and very original Art piece. That´s a so wonderful card Nish !! This diamond is very beautiful, and the quote magnifique ! 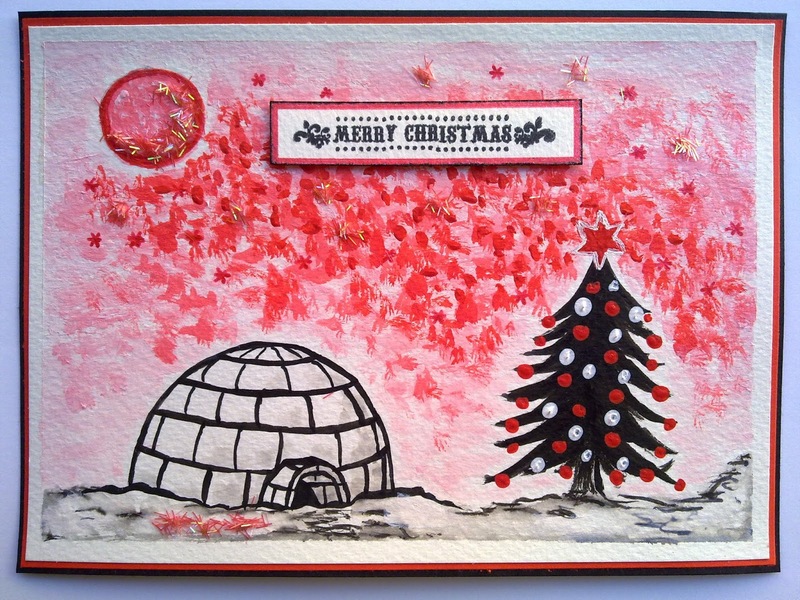 This is a gorgeous Christmas card Katrina !! Wonderful little rabbit and so beautiful snowflakes and gem. What a so wonderful card Sidan !! Absolutely gorgeous, I love these three ninjas jumping, lovely. ! Thank your very much Doris for joining us !! 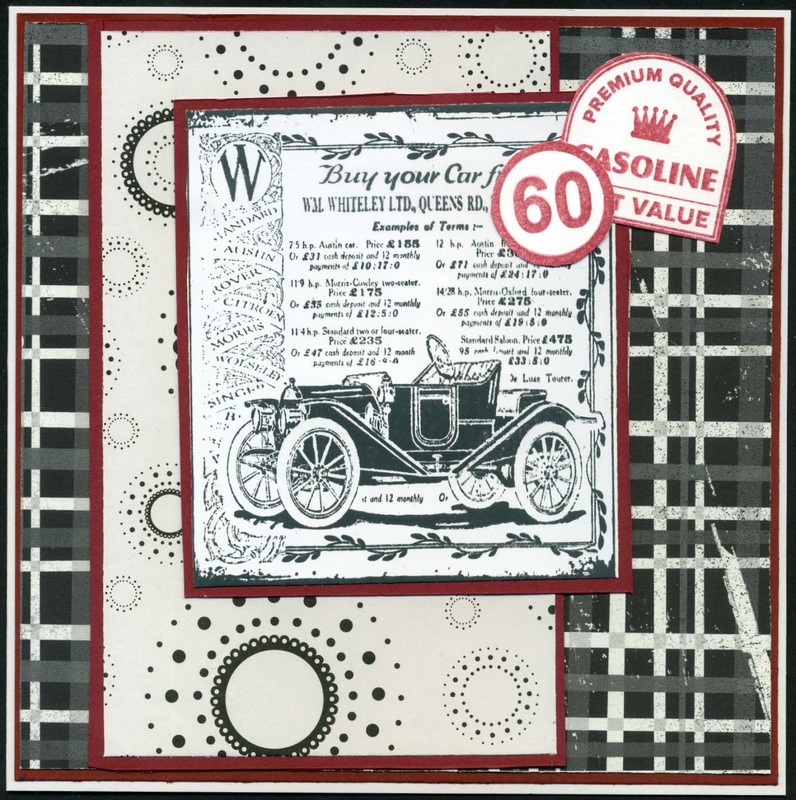 Your card box is so gorgeous and original, I like very much this unusual design, and the wonderful elements you have used. This card is gorgeous Andrea !! I love the yellow car with wonderful wings, and the lovely design too. I want to thank once more to the wonderful ladies of Tiot´s gang, and I want to say that I have had a really lovely time visiting everyone and seeing the so so so GORGEOUS Artpieces you have created, Amazing all, and congratulations everyone!! Thanks so much, I wish you the best ever.